Contact lenses are one of the marvels of the modern age, making it possible for people to see better and feel more comfortable for decades now. Contact lenses don’t just materialize, though: It all starts with an exam. If you haven’t yet had one, it’s time to make an appointment with Midway Optometry. Whatever your individual situation and desires, we can help you out. Come see our San Diego eye doctor to learn more today. If you’ve already had an eye exam for glasses, you might think you know what to expect during an eye exam. While many of the tests are the same, a contact lens exam will include additional steps to ensure you’re suited to contact lenses and to find the best ones for you. However, that doesn’t mean you need to find a different optometrist to perform your eye exam. You should simply find the best one around, so you have the best chance of getting the product and vision you need. Contact lenses carry numerous benefits. Many appreciate the way they enhance appearance, making glasses unnecessary. Other people like to play sports or spend time in the outdoors, and contact lenses are much more convenient for this than glasses. They also move with the eye, don’t distort the field of vision with glasses frames, and aren’t susceptible to getting spattered with rain. During your fitting, your optometrist will ask you to read an eye chart, as well as perform several other tests to determine your individual prescription. They will also go over your health history, ask about your preferences for contact lenses, and find out about any special requests you might have, such as an eye color change or bifocal lenses. We also offer a huge variety of different brands to help you select the best option for you. This can be difficult to wade through on your own, but our eye doctors are here for you. We’ll help you understand the medical facets of your particular situation – such as contact lenses for astigmatism or hard-to-fit eyes – as well as the best brand and how to order them. Ready to find an optometrist to help you with all your vision needs, contact lens and otherwise? 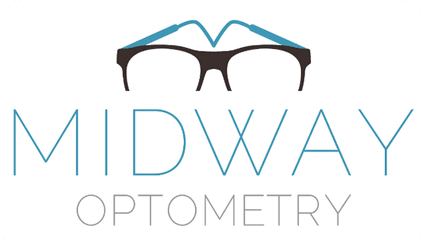 We invite you to get in touch with us here at Midway Optometry. We’ve been serving the San Diego for years, and can answer all your questions easily and compassionately. Your eye health is our main goal, so don’t wait to get in touch with us here by calling (619) 224-2973.